Like all the various forms of barbecue, jerk relies on smoke for flavoring. In Jamaican jerk, pimento wood is the source of the smoke and the flavor. The flavor that pimento wood provides is one of the distinctive qualities of the jerk style of cooking. While the traditional form of jerk involves the use of wood along with sticks and leaves, using chips can still provide a distinctive pimento taste that will set your food apart from food smoked with other woods. Which tree do pimento wood chips come from? 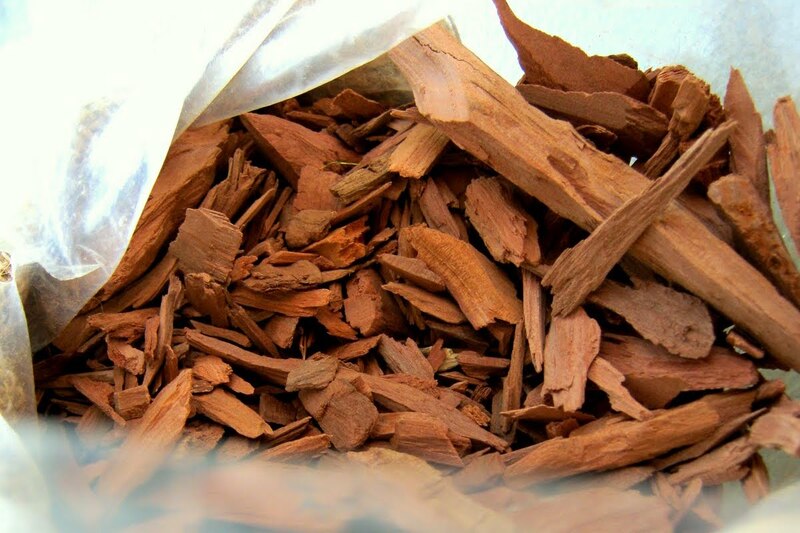 Pimento wood chips come from pimento or allspice trees, which were identified in 1509 and given a name similar to the Spanish word for peppercorn. This is the same tree that provides the allspice berry. The wood from pimento trees is a hardwood, known for its weight and density. Like all hardwoods, pimento is relatively dry and without the high levels of resin found in softwoods. Once properly seasoned, it will smoke cleanly and for a long time. Pimento wood was first used for smoking meat by the Native Arawak Indians and then by escaped slaves. It was the primary wood used to smoke the meat known as boucan that was eaten by pirates and other seafarers. It is from boucan that we get the word buccaneer. Pimento trees belong to the same family as cloves and are indigenous to the Caribbean and to Jamaica in particular. Jamaica has the longest history of cultivating the trees and using the wood. While pimento trees can and do grow elsewhere when transported by migratory birds, they are difficult to cultivate. Attempts to grow them from seed are often met with failure. Partly it has to do with climate as the tree requires a tropical or subtropical environment. Without that environment, it may still grow but without producing fruit. Pimento wood chip flavor—How does smoking with them affect taste? What makes them special? One of the unique elements of pimento wood is its aroma, which is very similar to that of bay leaves. It will infuse food with this bay leaf fragrance along with a rich smoke that has notes of eucalyptus. The smoke pairs well with the various ingredients in jerk seasoning, but should work well with most dry rub components. Which foods does the pimento wood flavor complement best? The traditional use of pimento wood smoke is as a flavoring for pork and chicken; however, it is versatile enough to be used on many other foods. You can use pimento wood on beef brisket and cured pork as well. The fact that it burns slowly and can last a long time (similar to hickory wood) makes it perfect for foods that will spend hours in the smoker or on the grill. Its clove-like notes are excellent for hams and can be used as an alternative to the traditional method of studding the outside of a ham with cloves. How do you use pimento wood chips? You can use pimento wood chips in a charcoal or gas grill just like you would use other wood chips. Place them in a smoker box and position the box over a burner or on top of burning coals. For a more traditional flavor, make a bed of chips on the coals and lay the food on top of the chips. This allows the food to be bathed in the smoke and absorb more of the flavor. As with most other woods, soaking pimento wood chips is not necessary. It does not make chips burn more slowly, it just delays the burning until they dry out.